Man, this thing is sweet; and all the more so because it's basically a full-production figure, just like the one that would have been released had the Droids line not been cancelled. 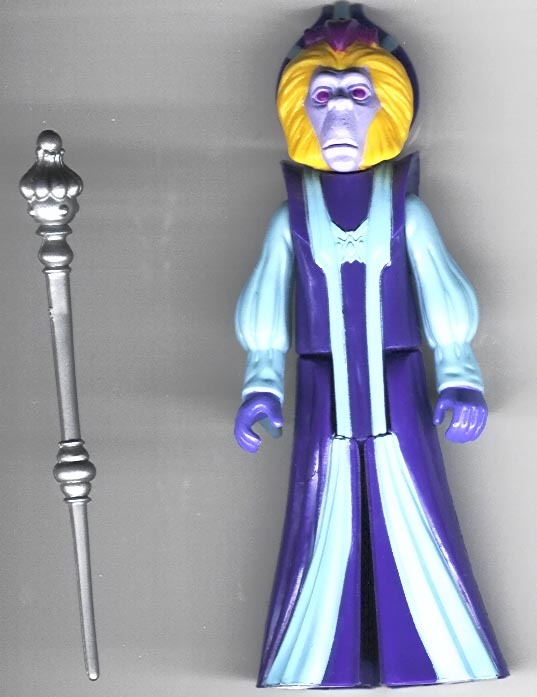 Here you see the front of the figure, along with its unique sceptor accessory. 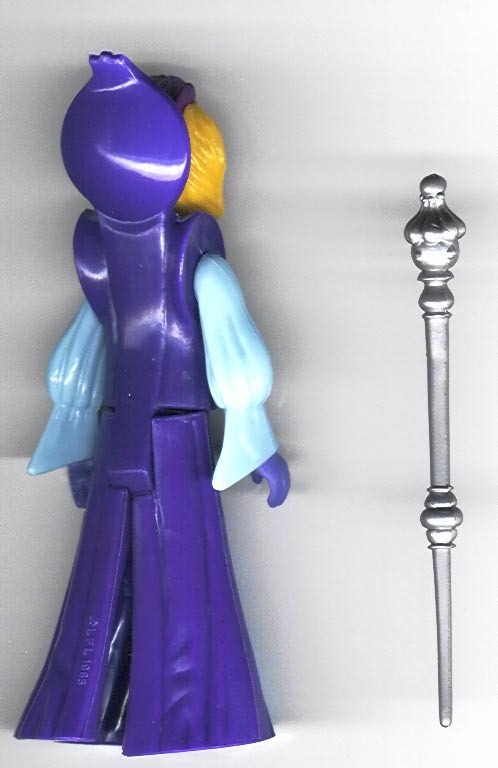 There's actually a similarity between the dress of this figure and that of Queen Amidala in Episode I: The Phantom Menace. Here's the back. As you can see, the back of the leg includes the date and copyright information, usually the last details to be added to a production mold. So what if it looks like a fraggle? It's a heckuva cool unproduced figure.